Best Practices Presented by Peter Prettenhofer. 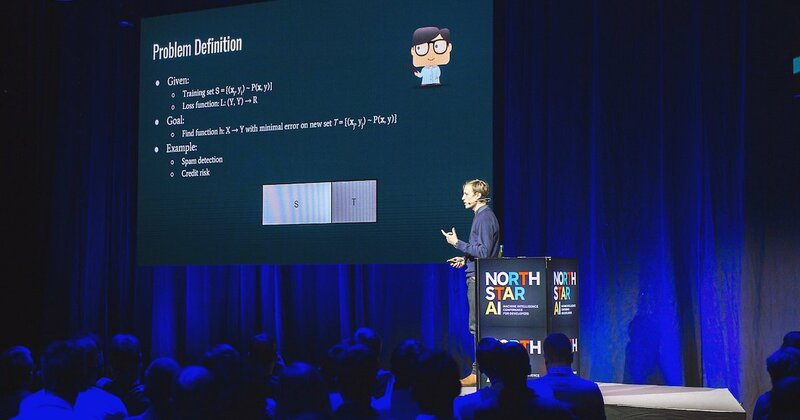 During North Star AI conference, powered by Proekspert, Peter Prettenhofer, VP of Engineering at DataRobot, presented on one of the most fundamental questions in machine learning: What happens if the data applied to a model looks quite different from the data that the model was initially trained on? The obvious question that naturally follows, noted Prettenhofer, is: Does the model in this case need to be retrained? In supervised machine learning — which was the focus of Prettenhofer’s talk — you are given a set of samples, X (feature vector) and Y (a class label) pairs, as well as a loss function that can be used to assess how well your model is making predictions. The goal, explained Prettenhofer, is to find a function (h) that maps from X to Y, and has minimal error on new, unseen data. How do you find the function h? Empirical Risk Minimization tells you to pick the one that minimizes the error on the training data. Like most machine learning techniques, it assumes that training and test data need to be drawn from an independently identically distributed (IID) distribution. The identical aspect means that the distribution that generates data over time stays fixed. The independence aspect boils down to sampling a sample that has no effect on the next one. This means that you need to submit to the idea that all data is drawn from some probabilistic process. In dataset shift, said Prettenhofer, you fiddle with this fundamental assumption of machine learning. You go from a classical view that training data and test data are drawn from a fixed but unknown distribution, to a view where training and test data are drawn from source distribution and target distribution. The question is whether or not learning is possible under such conditions. Arguably, if training and test distributions differ, then learning is not possible; if the future has nothing in common with the past, then you cannot learn. Prettenhofer concluded that supervised learning techniques are thus negatively affected by dataset shifts. However, there are simple methods that you can use to detect this kind of change. Prettenhofer presented a taxonomy of methods that can be used to identify whether or not dataset shift is a problem you may have. In general, there are two methodologies for detecting dataset shift issues, supervised and unsupervised. Prettenhofer noted that he will focus on unsupervised methods because they are more common and practical. The Statistical Distance method is useful for detecting if your model predictions change over time. This is done by creating and using histograms. By making histograms, you are not only able to detect whether your model predictions change over time, but also check if your most important features change over time. Simply put, you form histograms of your training data, keep track of them over time, and compare them to see any changes. This method, noted Prettenhofer, is used most commonly by financial institutions on credit-scoring models. There are several metrics which can be used to monitor the change in model predictions over time. These include the Population Stability Index (PSI), Kolmogorov-Smirnov statistic, Kullback-Lebler divergence, and histogram intersection. A method that is more amenable to fairly complex domains such as computer vision, is Novelty Detection. The idea is to create a model for modeling source distribution. Given a new data point, you try to test what is the likelihood that this data point is drawn from the source distribution. For this method you can use various techniques such as a one class support vector machine, available in most common libraries. If you are in a regime of homogenous but very complex interactions, then this is a method you should look into, because in that case the histogram method won’t be effective. The Discriminative Distance method is less common, nonetheless it can be effective. The intuition is that you want to train a classifier to detect whether or not an example is from the source or target domain. You can use the training error as proxy of the distance between those two distributions. The higher the error, the closer they are. Discriminative distance is widely applicable and high dimensional. Though it takes time and can be very complicated, this method is a useful technique if you are doing domain adaptation. How do you correct dataset shift? The short answer, said Prettenhofer, is that you don’t — you retrain your model. If possible, you should always retrain. 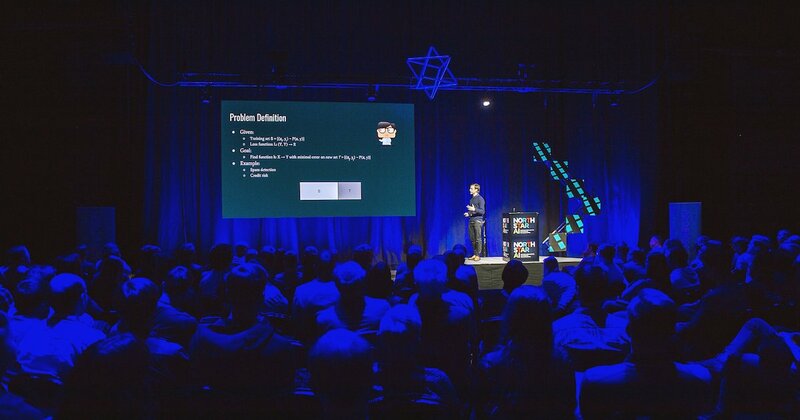 Of course, in some situations it may not be possible, for example if there are latency problems with retraining. In such cases, there are two easy techniques for correcting dataset shift. The main idea with Importance Reweighting is that you want to upweight training instances that are very similar to your test instances. Essentially, you try to change your training data set such that it looks like it was drawn from the test data set. The only thing required for this method is unlabeled examples for the test domain. You can also change the representation of your data to make the two distributions appear more similar. Given that you can still make good predictions on the training data, this means that this mapping will help you during knowledge transfer. An example of this is feature selection. A feature that differs a lot during training and test, but does not give you a lot of predictive power, should always be dropped. This is one of the most important lessons in understanding dataset shifts, said Prattenhofer.